"Dog Eared " the title track off of Michael's upcoming album was featured prominently on the second episode (shown as part two of the pilot) of MTV's new season of the Real World San Diego. The beginning of the song can be heard on MTV's site - click the first clip. Another upbeat song, "Crosshill" had been played previously on episode 8 of Real World/Road Rules Challenge the Gauntlet. Also remember to pick up the January/February issue of CMJ Magazine. The free CD inside includes the beautiful track "Dis connect" from Dog Eared. Mark your calendars! 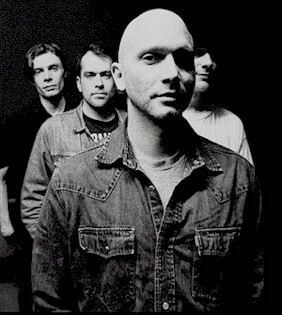 Cerveris will be performing a special solo acoustic show at Schubas Tavern in Chicago on Tuesday, January 13th 2004. Be sure to come down to hear songs from Michael's debut solo album Dog Eared before it hits stores on February 24th. There is a $6 door charge. November 2003: "Crosshill" the first track off of Dog Eared can be heard on episode 8 of MTV's Real World/Road Rules Challenge the Gauntlet. Things have changed regarding the planned November release of dog eared on a previous label. The new plan is for a street date of 24 February, 2004 (just in time for Valentine's Day....) on Low Heat Records (www.LowHeat.com), distributed by the good, good people at Redeye Distribution (www.redeyeusa.com). They should have it out through their extensive network of major and independent retailers, Internet sales outlets and even cutting edge outlets like iTunes. The album is already making an impression, though, even before it's released. It's already been licensed for possible use in soundtracks for MTV's Real World, Road Rules and Extreme Sports shows. And another popular television show has expressed interest as well--details to follow. Be sure to check out The CMJ Monthly Magazine (College Music Journal) website in November : Can't Feel My Soul will be available as a free MP3 download. . The February issue will include Disconnect - track 2 on the new album on it's free CD with every copy. Pick yours up as soon as they're available! Lucky visitors to Washington DC will have the chance to see Michael twice. First as the romantic lead in Sondheim's dark musical Passion. And later this summer Michael will be performing his own songs live at the Millennium Stage. The concert will be Sunday, August 18th at 6 pm and is free to the public.